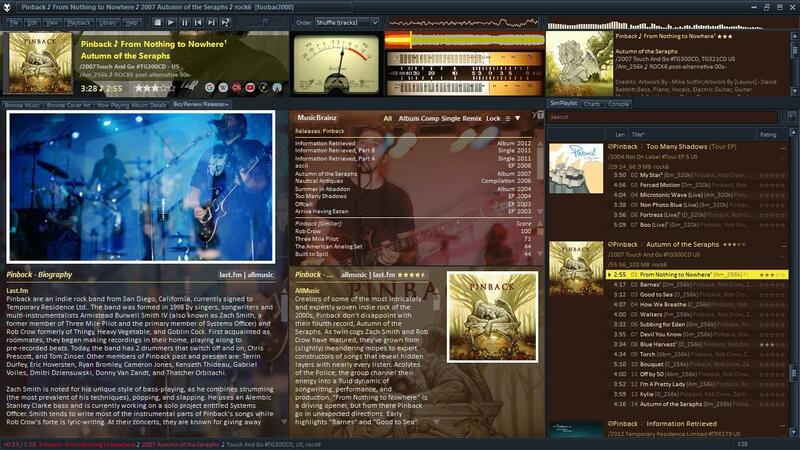 Farewell to my old foobar v1.3 theme. Time to make a new one. Haven't updated in awhile but it was time. WSH and JS panel performance was no longer holding up to my collection. Happily SimPlaylist and Peter's work in general (+Wilb's!!) is still bullet-proof. Did a 1.4 ground up rebuild so thought I'd share. btw DUI, with WIN10 theme to get the dark app tabs/framing. Current look, still minimal but added a few more elements today. It was a bit hard to make the window title the way I wanted but finally got it. Gotta love tabs, you can stuff so much in only one interface! 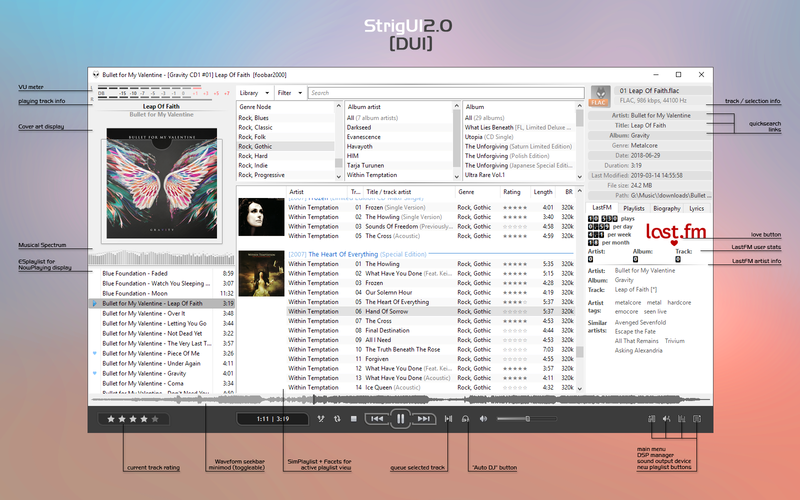 Latest iteration, slowly becoming more complex. Yesterday, I finally went full screen! My actual theme. Quiet simple, but gives me all the infos I need. My luscious Medieval theme with a Canterbury Blackletter font, inspired by the calligraphic parchment books of medieval monks. 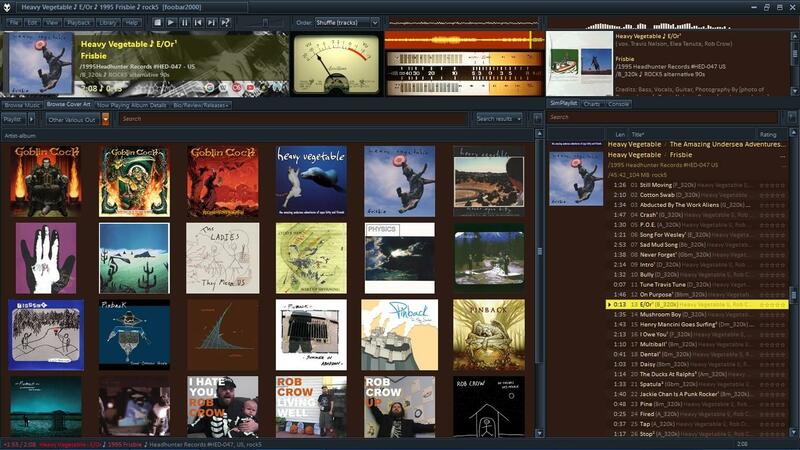 It features various selection tabs for full screen album view, composer view, genre view and artist view with a display tab to play the selected item. 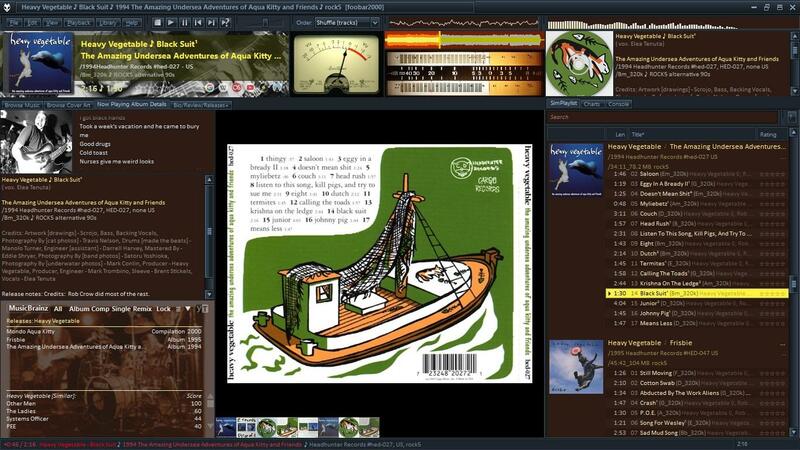 What it lacks in album/song switching speed, it makes up for in visuals. 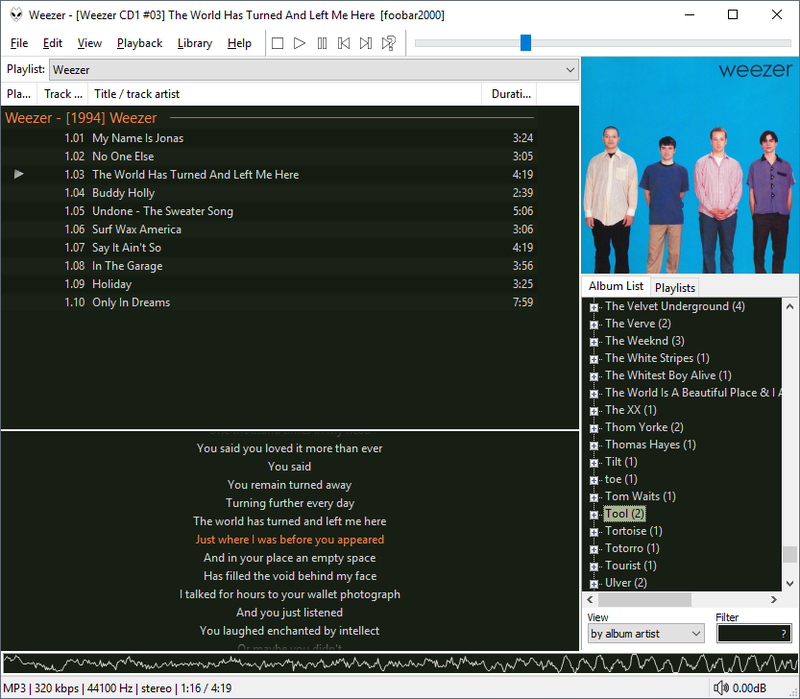 I have been using foobar2000 for a few years and have been tinkering with the UI pretty much ever since, however my general layout remained largely unchanged for the last year or so. 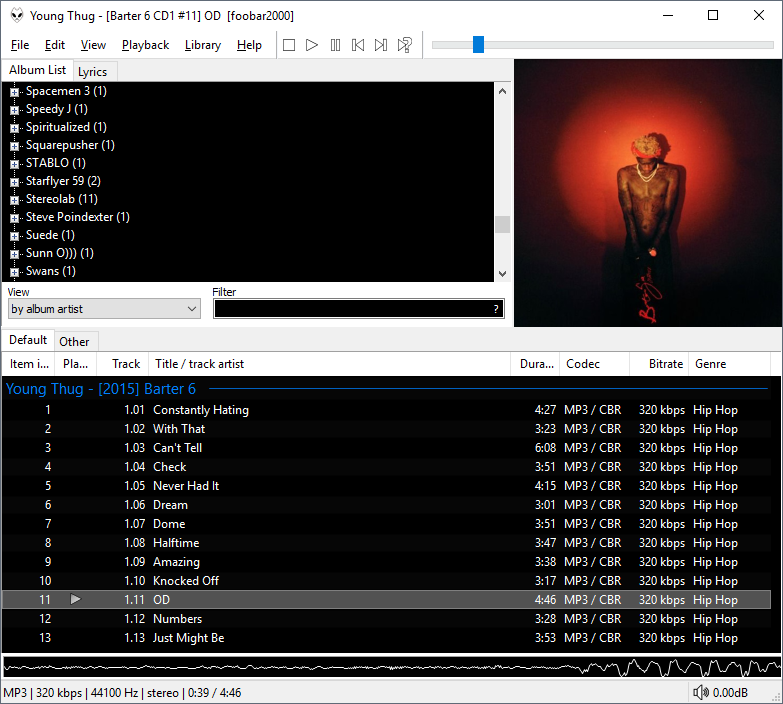 Simplified layout, added vectorscope (uses Shpeck (foo_shpeck)/Winamp AVS) and YouTube Source (foo_youtube). Nothing special or extra ordinary. 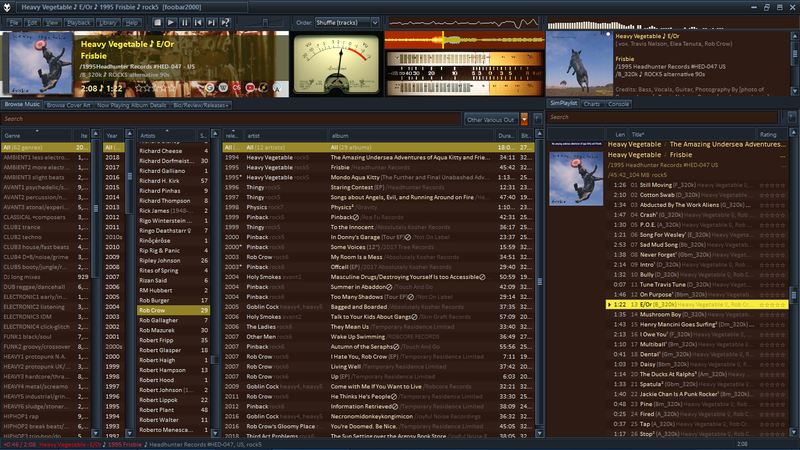 Just a simple layout I did (please don't mind the useless bar on semi-top and the playlist list). 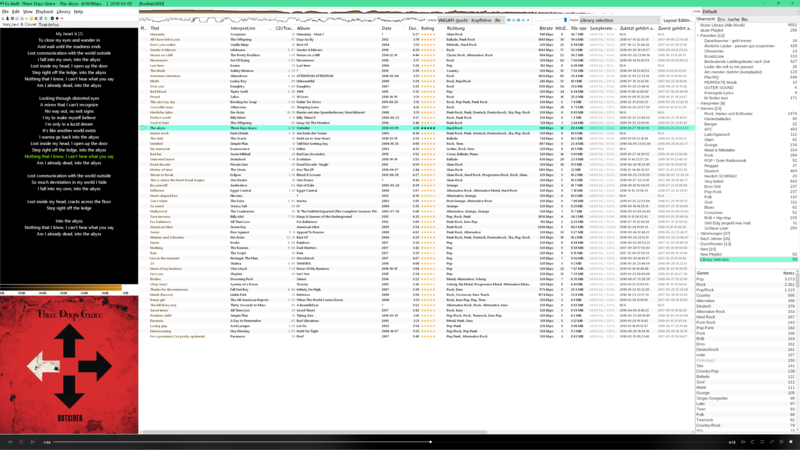 It did not change much visually, but I had to rework few scripts since I made a switch to SMP as java script host. Loved waveform minibar too! So that also found place in updated skin.